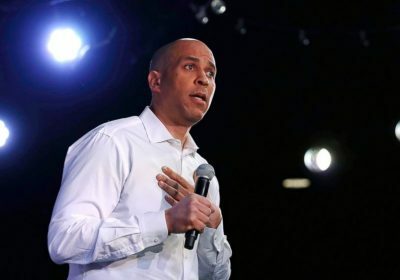 Sen. Cory Booker of New Jersey is continuing his swing through New Hampshire. Sen. Amy Klobuchar of Minnesota is set to visit Iowa. And Sen. Elizabeth Warren of Massachusetts plans to be in Nevada, the first Western state to vote in the primary. Booker told voters on Saturday there are a “lot of pathways” to achieving universal health coverage and that just lowering Medicare eligibility to age 55 would be “a step in the right direction.” A backer of “Medicare for all”, Booker said the idea’s proponents are “going to have to find ways to advance the ball given the Congress that we have” as they work to win support. Klobuchar, after appearances in Minnesota and Wisconsin, is taking her case for Midwestern neighborly appeal to the state that opens voting with its caucuses. Warren heads to the West after campaigning in the South on Saturday. She met with an estimated 800 voters in Greenville, South Carolina, before heading to Georgia for an early appearance that signals Democratic hopes to make inroads in the South. Three high-profile potential candidates — former Vice President Joe Biden, Vermont Sen. Bernie Sanders and former Texas Rep. Beto O’Rourke — remain on the sidelines for now.